It's Facebook Fridays! for November 14, 2014, and we are helping folks deal with workplace situations! 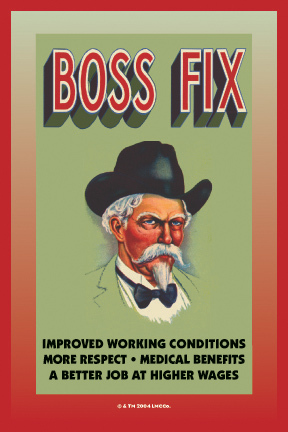 The Lucky Mojo Curio Co. is hosting a random drawing to give away SEVEN great Boss Fix spiritual supply prizes that will help you get right with your boss and enjoy improved working conditions, more respect, better wages, job promotions, or added benefits. 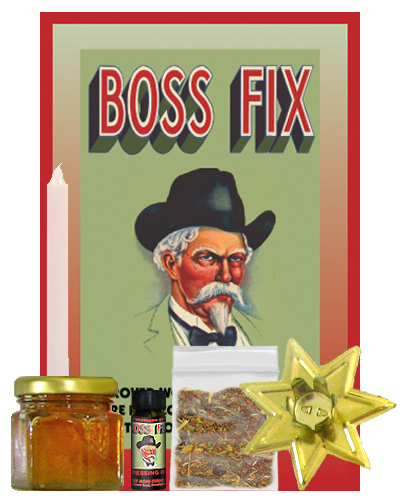 This week the prizes are a Boss Fix Honey Jar spell Kit complete with all ingredients and full instructions, or an authentic Lucky Mojo Boss Fix Bottle Spell with all ingredients and instructions, or a blessed and dressed Boss Fix Vigil Candle, or a bottle of Boss Fix Dressing Oil, or one of three foils; Boss Fix Bath Crystals, Boss Fix Incense Powders, or Boss Fix Sachet Powders. First thing tomorrow morning, we will select SEVEN winners at random, announce their names here, and ask them to message this Facebook Page with their mailing addresses, so we can send them their FREE Boss Fix products. We have a winner! In fact, we have SEVEN lucky winners! Our Facebook Fridays! winners for November 14, 2014 are: Earl Harris, D'vorah Joy, Connie Jones-Steward, Dominec Holmes, Gata Pantera Negrra, David Abad, and Tessa Bryce.